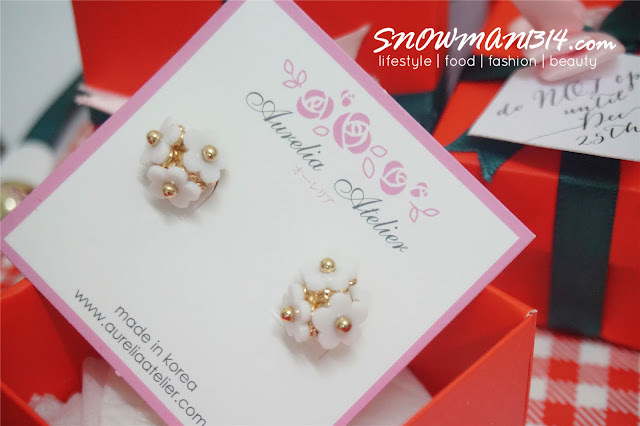 Today will be sharing my recent favorite earring from Aurelia Atelier. When I first receive the collaboration with them, I was really happy and excited. 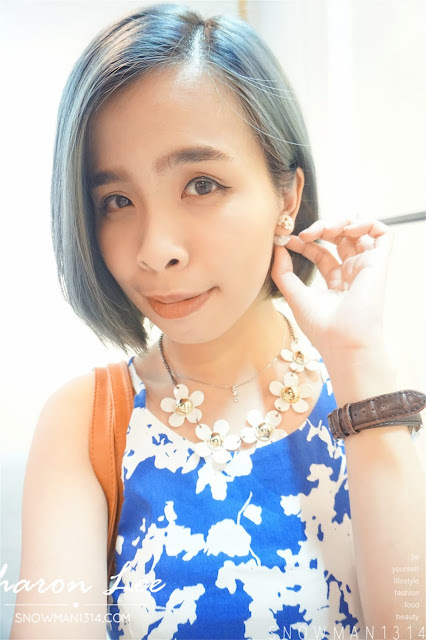 Although I am not a earrings lover, when I shop at their website I can't help myself but get myself several earrings from their site. 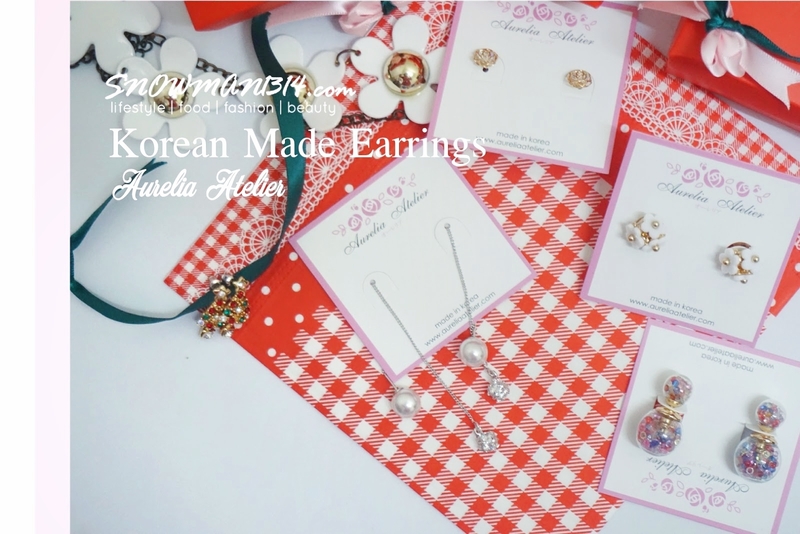 Aurelia Atelier sells earrings made in Korea which also provide the quality and unique design of each of their earrings. 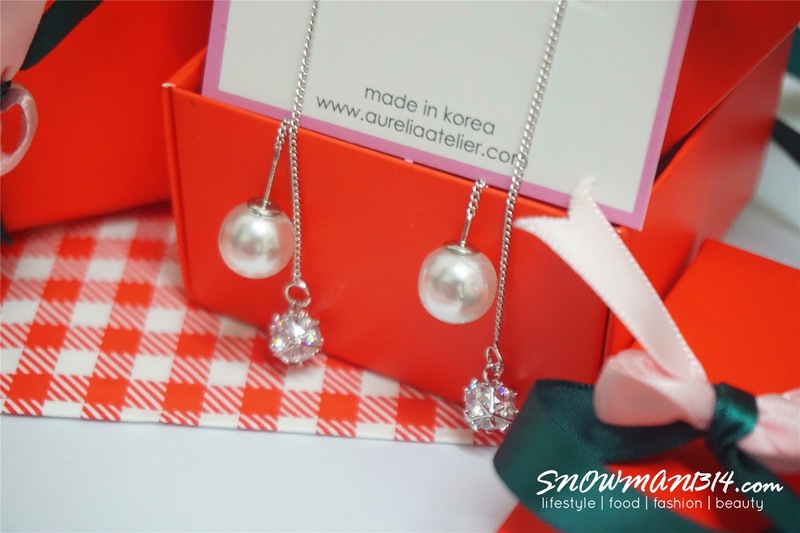 All their jewelry is exclusively made and designed in Korea. Every detail, send out a born with a unique temperament. Read on to see some of my favorite earrings from Aurelia Atelier. 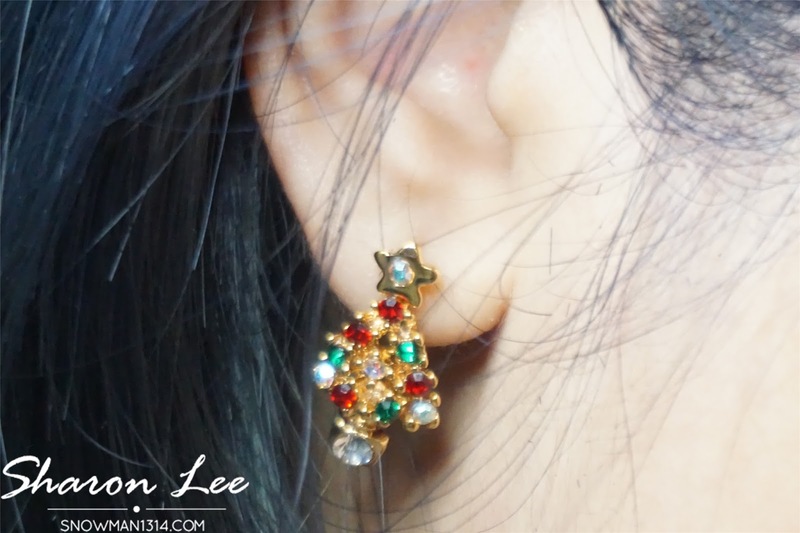 My first earrings I got is this Christmas Tree edition earrings! It was super cute and it was so elegant at the same time too. 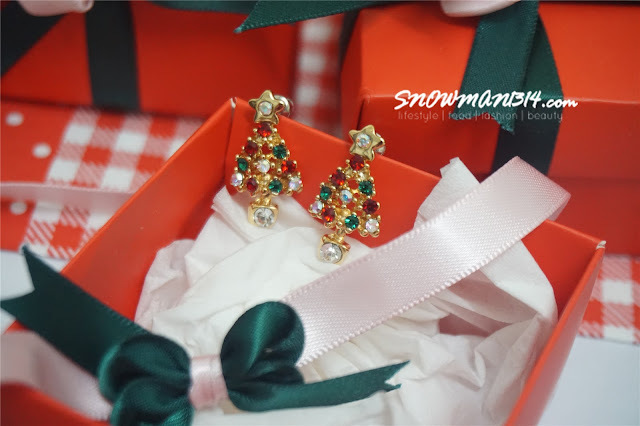 It has the color combination of the Christmas Tree of green and red. Added some bling white diamond to harmonize the color combination of this earrings. It also has the star on top of the tree too, just too cute to resist. 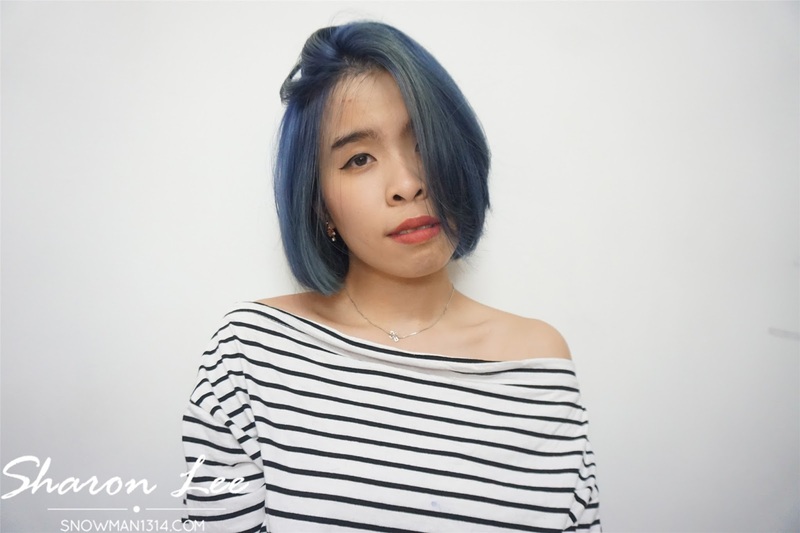 Some of the shots I did during last year December. 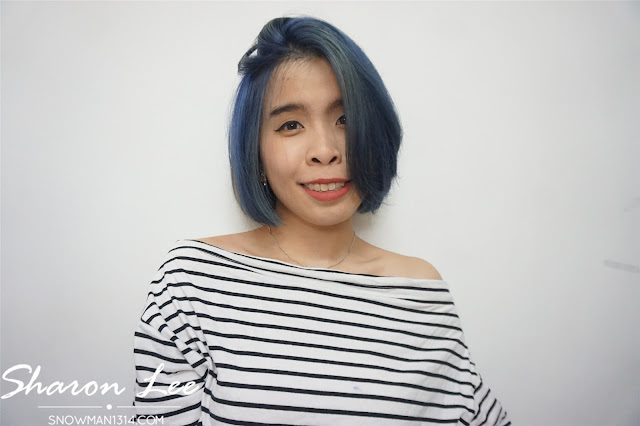 It was my first attempt at bleach and color hair. I am thinking on what color I should try next round. 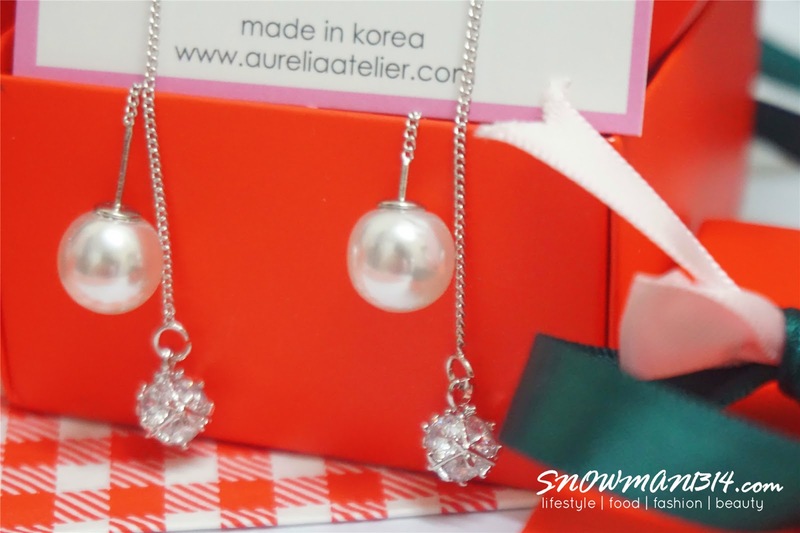 In Aurelia Atelier, they are famous with their bauble earrings too. 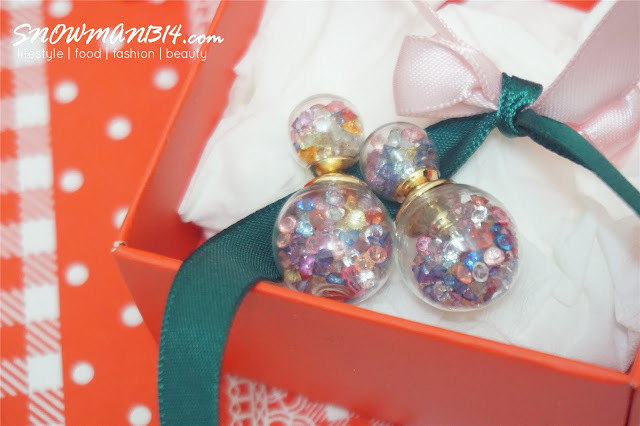 I remember there's a period that bauble earrings are really famous too. I love that it was designed with three white daisies on the front, and the back was designed with crystal in the bauble ring. If you are a daisy lover, you need to own this! 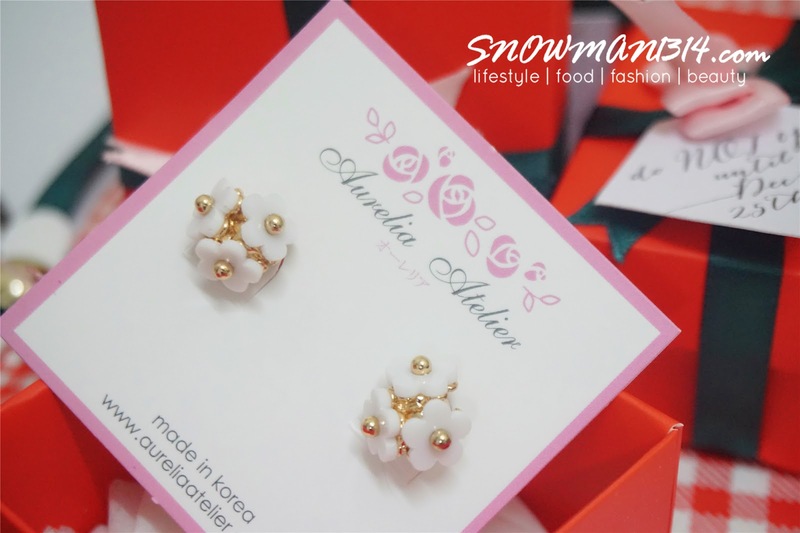 I really love the dainty details of the earrings. I even wear my daisies necklace to match with the daisies earrings too! I haven't tried out this pair of earrings yet. But the details of the earrings itself is so pretty. With the gold crave rose outside and the bling diamond stud inside. 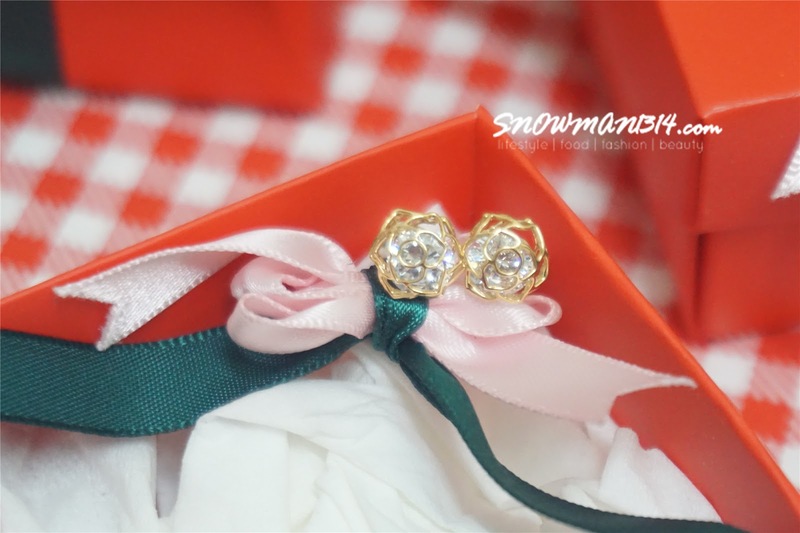 It was by far the prettiest and elegant earrings I ever have! Simply just love every detail of the earrings. 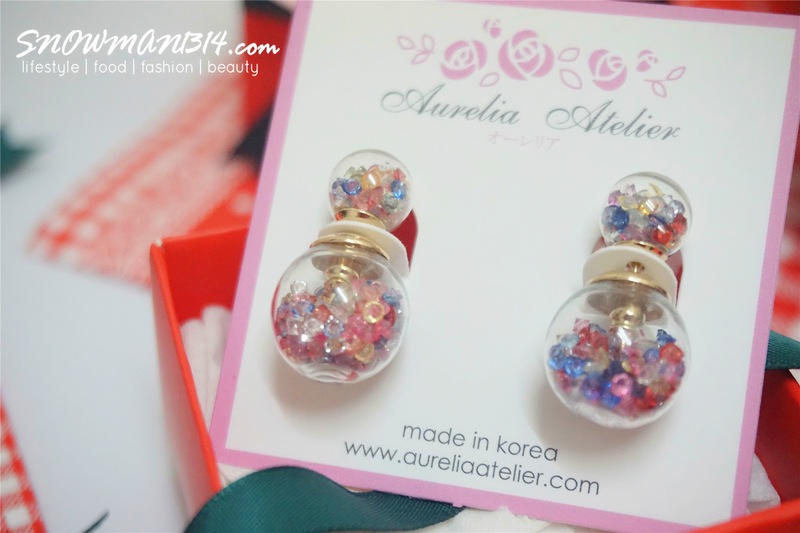 The only colorful earrings that I get from Aurelia Atelier. It contains several colors of the crystal both the bauble, looks like a rainbow combination of the earrings. Since I am getting all whites, gold and crystal earrings, I decided to add some color to my collection. Love that this pair of earrings not only gives a dark vibe but also a dark vibe that comes in colorful rainbow color. Lastly, this is why I been postponing for this post. I decided to wear this pairs of floating earrings for my wedding. I have never been a fan of wearing floating or drop earrings. When I have long hair, it just covered up everything that I just wanted to give up of wearing earrings. 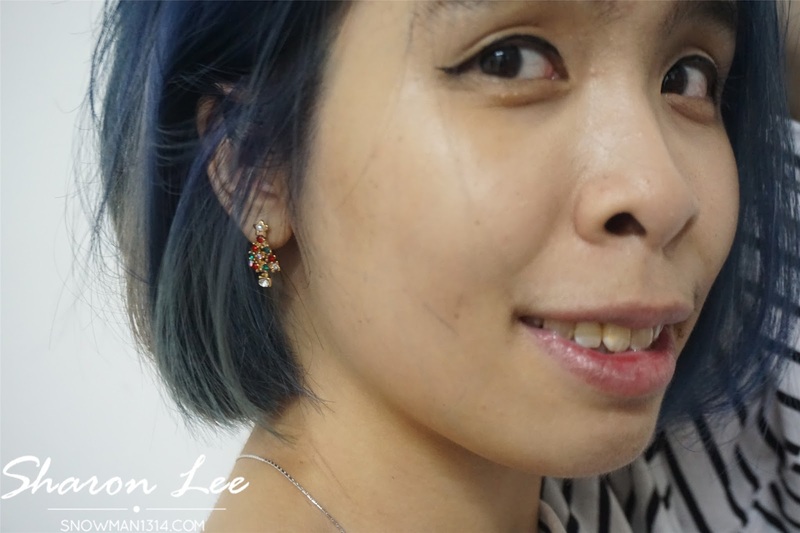 Ever since I cut and maintain as short hair, this kind of earrings is so easy to pop out and shine. 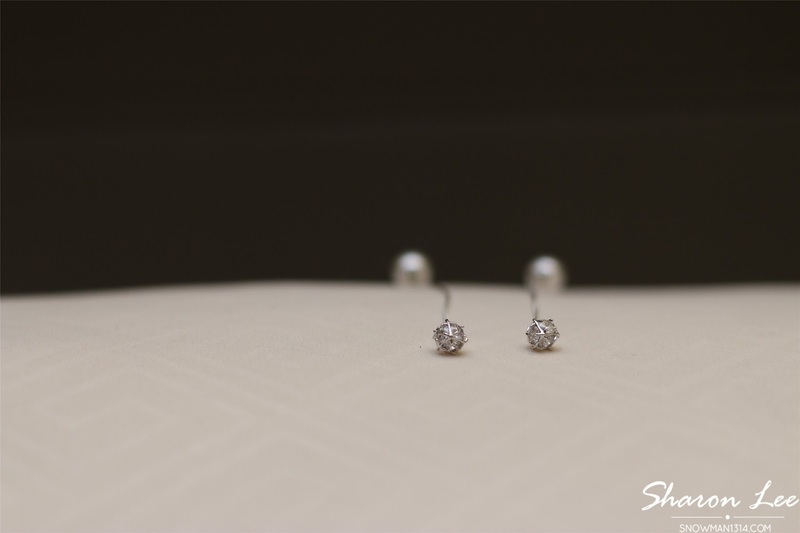 Soon after my wedding ended, I finalize and pick some of my favorite shot with this pairs of earrings. This pairs of floating earrings are designed in two way. 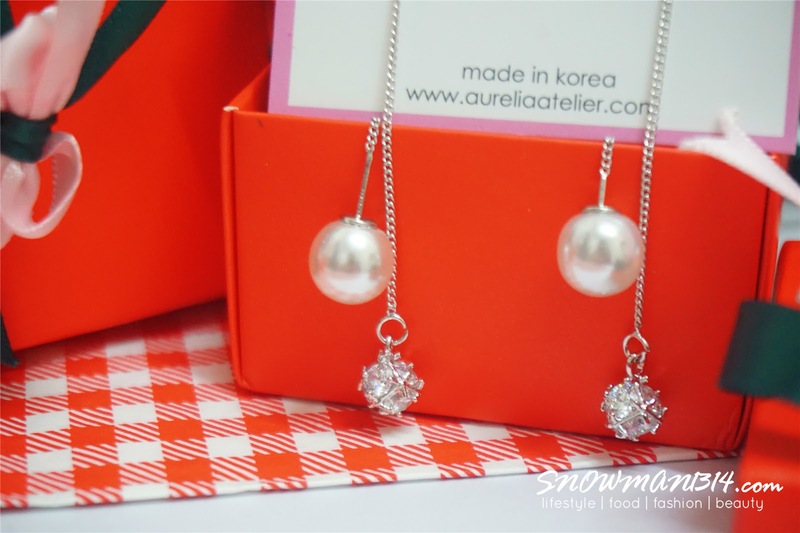 One side is designed in pearl and another side is in a crystal. You can always choose according to your mood on which side to shine the most while you are wearing. Since my wedding is all about simplicity and minimalism, this pairs of floating earrings come in just in time. 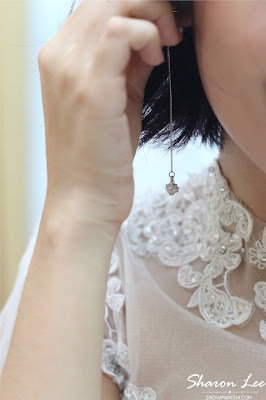 Some of my photos during my wedding with this pairs of Silver Eve Floating Earring. 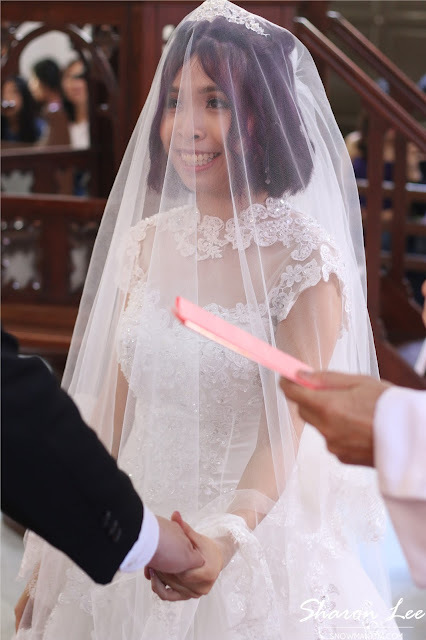 I love that by far you can something shine through the veil and my hair. 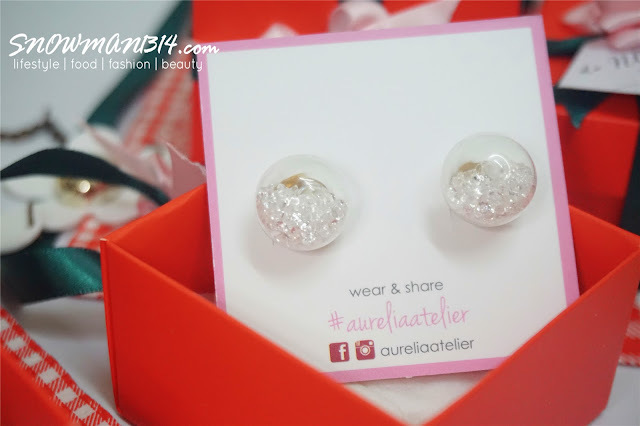 Not only that I was totally amazed that Rei, the founder of Aurelia Atelier even saw me wearing their earrings during my wedding too!! It was so small and I couldn't really saw it but she did it. Once again thanks, Aurelia Atelier for all this super gorgeous Korean made earrings! I hope to see more fancy and elegant design of the earrings.Their earrings are definitely high in quality and worth the investment. 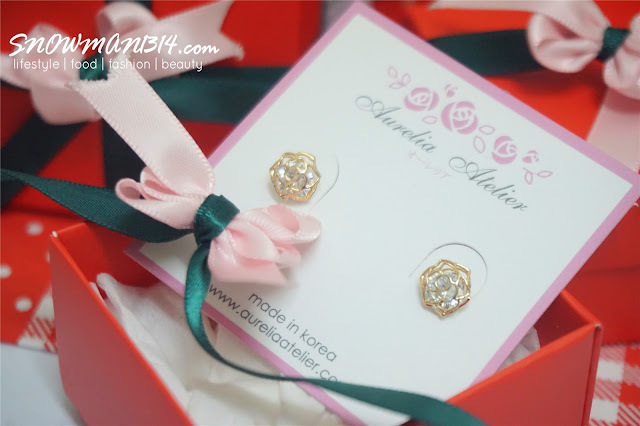 If you are looking for something simple for your dinner, or wedding, you can always check out Aurelia Atelier for more option and I highly recommend that floating design earrings is the best. 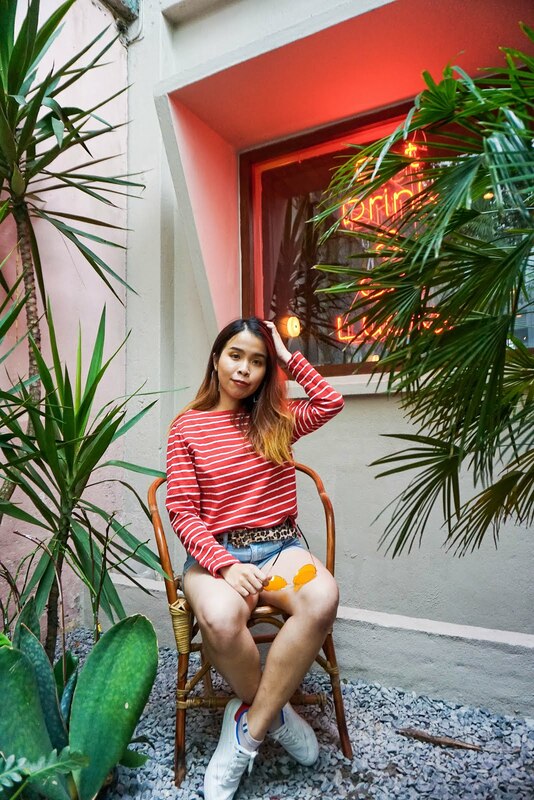 It was super elegant and simple enough to brighten up your whole outfit. Do check out the info below for more updates from Aurelia Atelier. Love it a lot! Super cute! 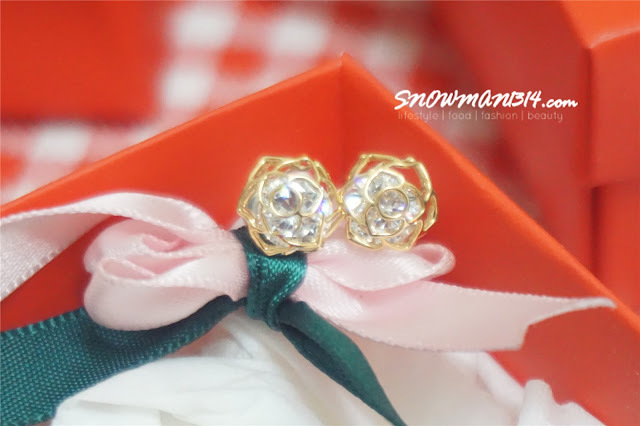 Beautiful earing. I would love to try this out too. 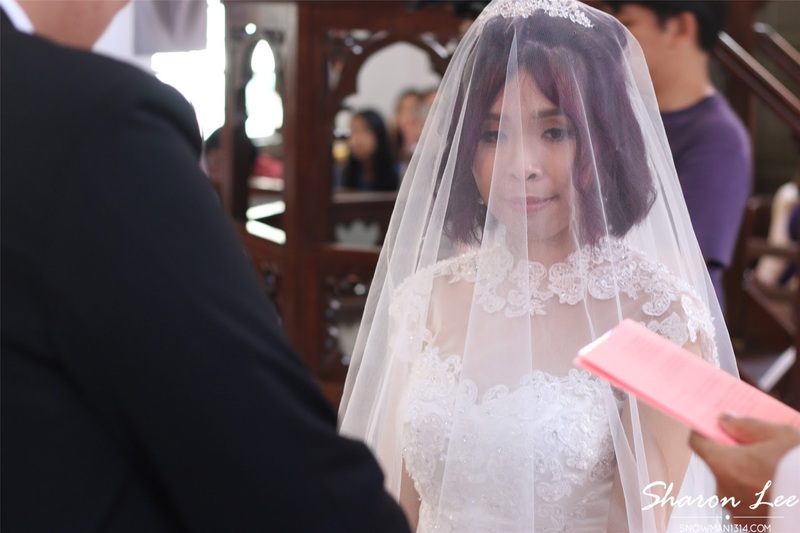 nice wedding photo dear! Yes and it was super cute! The earrings look superb good. I want to get it too. Omg. They are so pretty. I'm not much of a accessories person but I'm gonna check these out. Too pretty d.
Yes haha! I am not a accessories person too! But theirs is just so pretty! 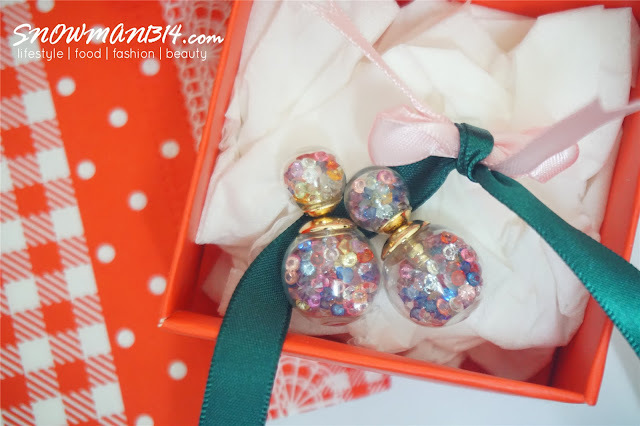 Wao..beautiful earrings but i cannot wear it coz my skin is quite sensitive. Hi Jessy, all the earrings are hypoallergenic. It's suitable for sensitive skin. love the designs! so pretty and intricate! 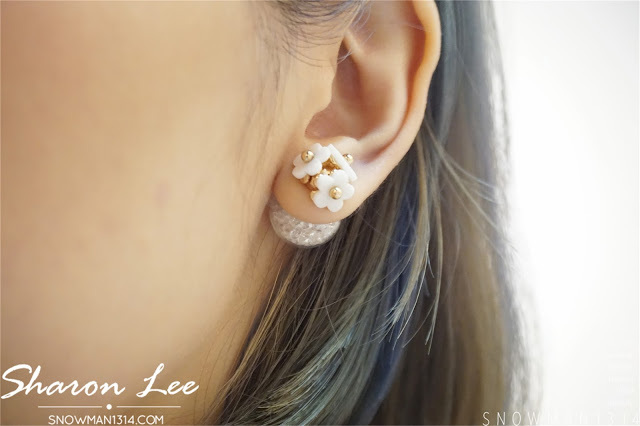 I love the daisy earrings. So lovely and kawaii! 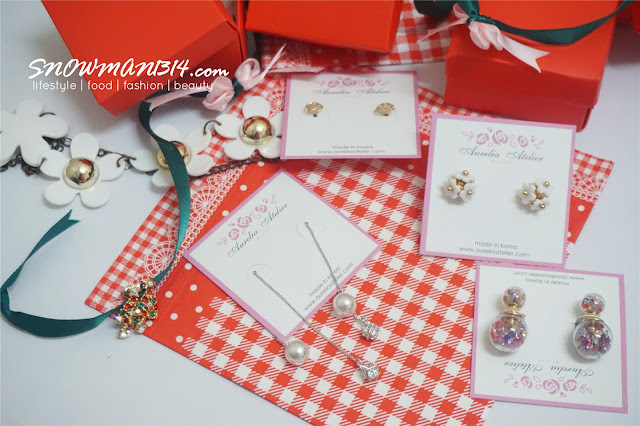 All the daisy earrings look so adorable!!! 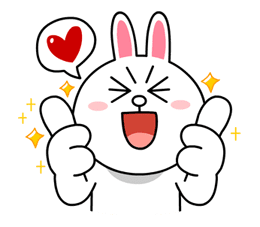 Love them and will definitely get some. My favorite is your dropped earring set. 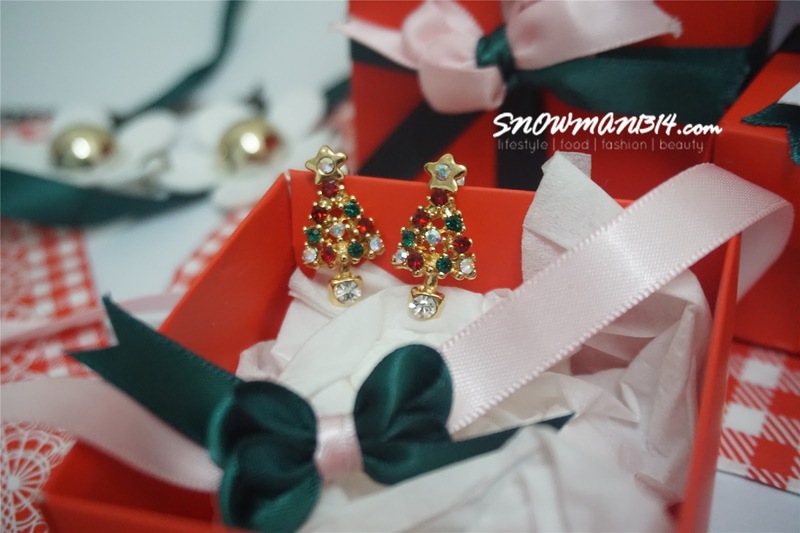 I like the earrings that look like a Christmas tree!